Big Dave 3 is a heavyweight drum spinner built entirely on the latest brushless DC motor technologies, latest speed controllers, and advanced remote monitoring technology. The lead designer is Rob, the driver is Ali, and the electronics specialist is Chris. Big Dave’s vertical drum spinner rotates at close to 8000RPM, delivering a vicious uppercut to its opponent. With case-hardened grade 5 Titanium impactors, expect a beautiful spark show and some serious airtime. The drum rides on 100mm alxes, and is driven by a 12Hp brushless inrunner motor, spinning the drum up to operating speed within 3 seconds. 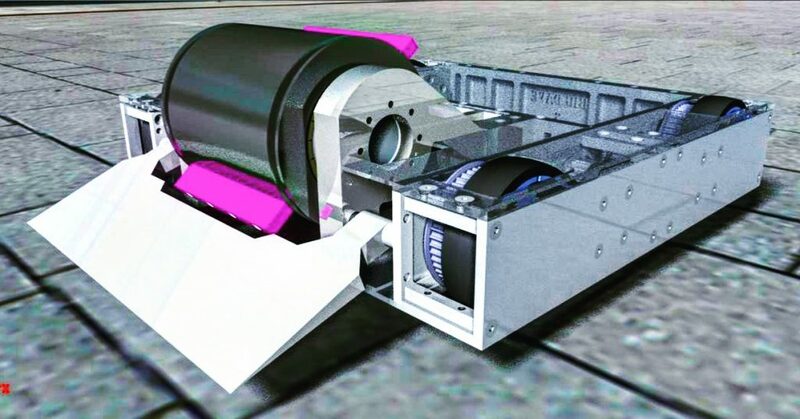 We’re hoping it will be the most powerful drum spinner that Robot Wars has ever seen, and we’ll try to bring you updates via the blog as and when they’re available.